Less than twenty years before I was born, there was a gulag in my country. I knew nothing of it until 2006. 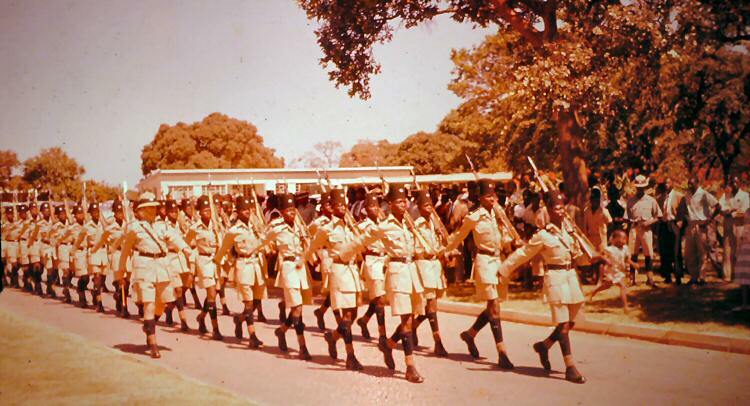 This is the history I learned in school (Standard Three to Standard Five, Hospital Hill Primary School, Nairobi). The first man and first woman were Gikuyu and Mumbi. They gave birth to the nine clans of the Kikuyu. The Mugwe was the leader who parted the waters, long before Moses, and led his people to freedom. Koitalel arap Samoei predicated the coming of the white man and the railway (a long snake, spitting fire). He led the Nandi people against the first British invaders. Waiyaki wa Hinga, paramount chief, went unarmed to a supposedly friendly meeting with British Officer Purkiss. We scribbled Puskiss Pig-Face into the margins of our textbook. We burned with the righteous outrage of nine-year-olds. A couple of thousand newly arrived white settlers were defying – indeed, baiting – the governor of the protectorate. 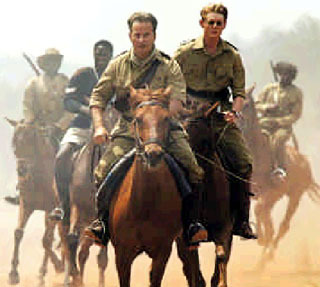 Their leaders, some of them Old Etonians, others Boers from South Africa, swaggered around with guns and jamboks. 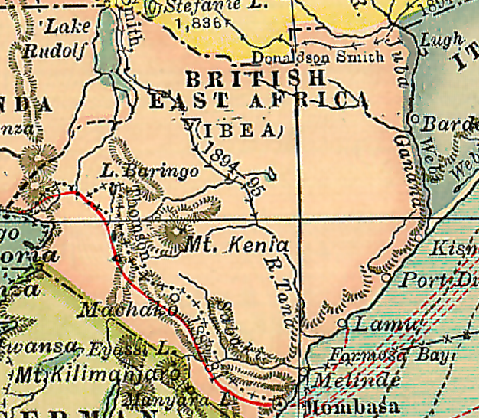 Ewart Grogan, President of the Colonialists Association and famous for his Cape-to-Cairo walk of 1899, was keen to show that Kenya was ‘white man’s country’. In March 1907, a few months before Winston Churchill’s arrival, Grogan had taken three Kikuyu servants and flogged them right in front of the courthouse in Nairobi. Their offense was that they had the ‘impudence’ to jolt a rickshaw, and the ‘impertinence’ to answer back to some white ladies. …When he stood opposite the Nairobi courthouse where the outrage had occurred, Churchill’s opinions became less confident. Below are teacher and student reflections on Hospital Hill School (HHS) in Nairobi, Kenya which is the primary school I attended. 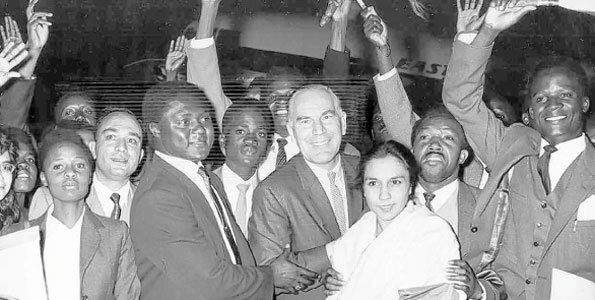 In the racially charged and segregated Nairobi of the 1950’s, a remarkably progressive and enlightened mixed-race couple – Mr. and Mrs. Karmali – began a multi-racial school in their living room which blossomed into Hospital Hill School. My teacher at HHS was Alan Cutler, who eventually rose to become Headmaster. His wife Anne Cutler, also a HHS teacher, authors this article. One of Anne’s students, Amolo Ng’weno went on to receive advanced degree from Harvard and Princeton and become Deputy Director, Global Development Program of the Bill and Melinda Gates Foundation. A schoolmate some years ahead of me, Liaquat Ahamed, went on to receive advanced degrees from Cambridge and Harvard and became a trustee of the Brookings Institution. Liaquat’s first book, Lords of Finance, won the 2010 Pulitzer Prize. My classmates Michael Werikhe became a beloved wildlife conservationist and Rhino Man. Another former HHS student, Paula Schramm writes her thoughts below. Her mother, Gloria Hagberg, was one of our favorite teachers. Mr. and Mrs. Hagberg had an African cook that worked in their home. His name was Hussein Obama, the US President’s grandfather. Mr. (Gordon) Hagberg had been appointed by the then senator John F. Kennedy to “airlift” bright young Kenyans to America on college scholarships. As the years go by I am continually surprised at the depth and richness of the learning which is fortunately still coming my way. When I think about this I realize again how crucial the events and influences in one’s life are in moulding who you become and therefore how you cope with whatever comes your way. The event which enhanced my life most of all was when I was fortunate enough to get a teaching job at Hospital Hill School in Nairobi, Kenya when returning from Britain after completing my teacher training and one year of teaching in London. 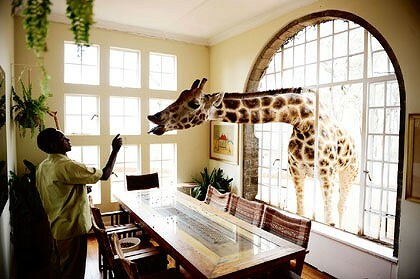 I was born in Nairobi, Kenya, during the Second World War. Both of my parents had come to Kenya from the two opposing countries of Britain and Germany. They met at a wartime Red Cross fundraising concert at which my father was playing, and then married in 1941 – what a controversial union that must have been! My mother, of British nationality, had spent the first thirteen years of her life in Pernau, Estonia, because her father had been posted there to manage a flax factory. During their time there the family glimpsed the very aristocratic way of life in the Russia of that time. This came to an end very suddenly for them when, due to the First World War, they had to flee back to Britain. Many years later, in 1938, she traveled to Kenya to visit her sister who had been sent out to “the Colonies” in the hopes of improving her fragile health. Also in 1938, my father, who had grown up in Berlin and at times in Czechoslovakia, fled to Tanganyika, as it was then called, to visit his sister and escape from Nazi Germany. He was amongst many people in Germany at that time who were being discriminated against. When war was declared his sister and her German husband had to return to Germany from Tanganyika. My father then walked over the border into Kenya where he was interned for a short while. Later he joined the British army and used his mechanical skills to serve in the British army workshops. After the war my father, Frank Ryce, had a motor business called Ryce Motors which developed from a small workshop for servicing and repairing vehicles to selling new vehicles. Our first car was a little Daihatsu which we piled everything into – water, “petrol” and paraffin lamps – to go camping! I have very good childhood memories of the relationship of mutual respect and fun we had with the Kenyan mechanics because to begin with his workshop was part of our home. Socially, many of our family’s friends were people who had also fled from Europe. They all supported each other in the setting up of their small businesses, getting together occasionally when they were not working. When it was time for me and my two younger siblings to go to school, children in Kenya were permitted to attend only schools of their own race. There were therefore three schedules of schools – European, Asian and African. My first school was a very small nursery school held in the home of some friends of my mother’s. I then went to Kilimani Primary School, an all white government primary school. My secondary education was at an all white private boarding school, Limuru Girls’ School. All of my primary and secondary education was therefore segregated and colonial by nature. I was very fortunate however, that due to lack of funds and my mother’s strong family vision, I was not sent “overseas” away from home to school in Britain, as some young children were at that time, their parents keen to get a better education for their children. However, when it came to my higher education and training, I went to Britain to do a teacher training course. Not only was that experience an enormous culture shock for me even though I had grown up in a very British colony, it was also a time when I experienced discrimination for the first time. The other college students, mostly all English, could not understand why, when coming from Kenya, I was white. After one very lonely year two more ‘white’ girls and one Arab girl all from Kenya came to the college. Thrown together due to the ignorance and attitude of most of the rest of the student body, we formed a tight friendship, therefore segregating ourselves and missing out on experiencing much of the English culture. The Principal of the college whose vision was one of broadening the student body, (partly the reason why we had been accepted at the college I think), attempted to improve the situation for us but was hampered by the attitude of many of the students that the British/English ways are the only ways. For the Arab student this was particularly difficult because she was expected to drop both her culture and her religious practices. Why was it that the three of us white girls befriended her, the students also asked – surely that was not allowed? 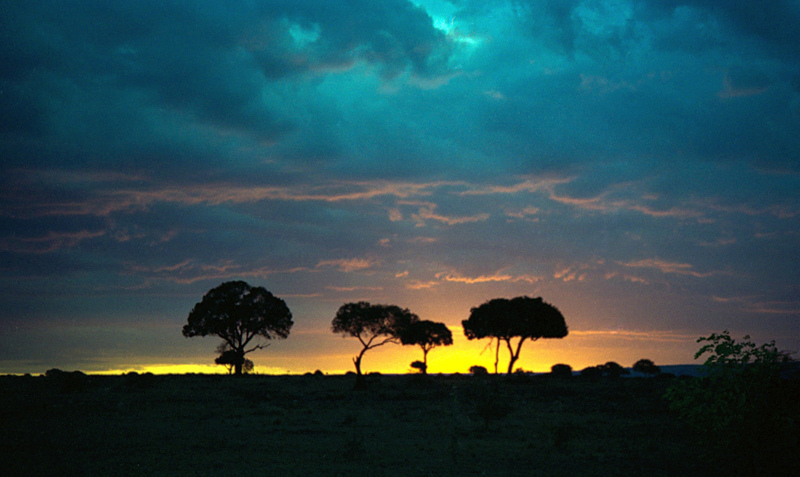 When I returned to Kenya after 4 years away, Kenya had Independence – she was a different, more exciting country. A teaching job awaited me at the multiracial school called Hospital Hill School in Nairobi. 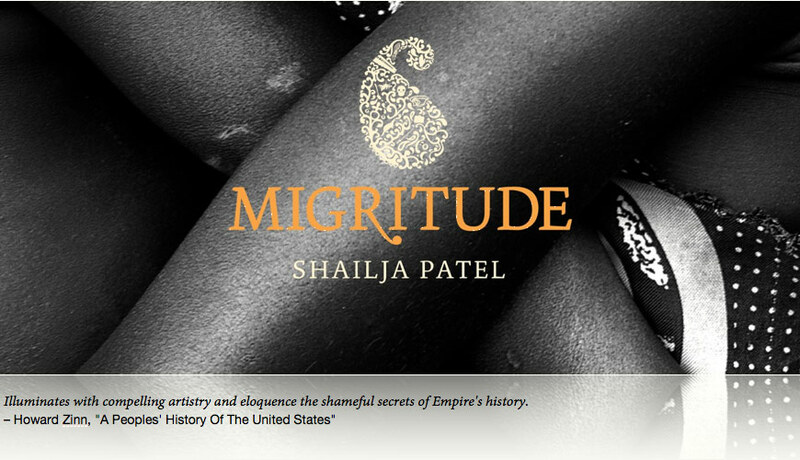 My immediate thought was – how would I manage to teach so many children of different races and cultures, and particularly, what would it be like for me, previously schooled in all-white colonial schools, to teach the African children? Well – I was about to embark on what I consider was the richest and most life changing chapter of my life. This fear of the unknown changed very quickly when I set foot in my Standard 3 classroom that first day at Hospital Hill School. Anne Cutler, left, with her Standard 3 class. 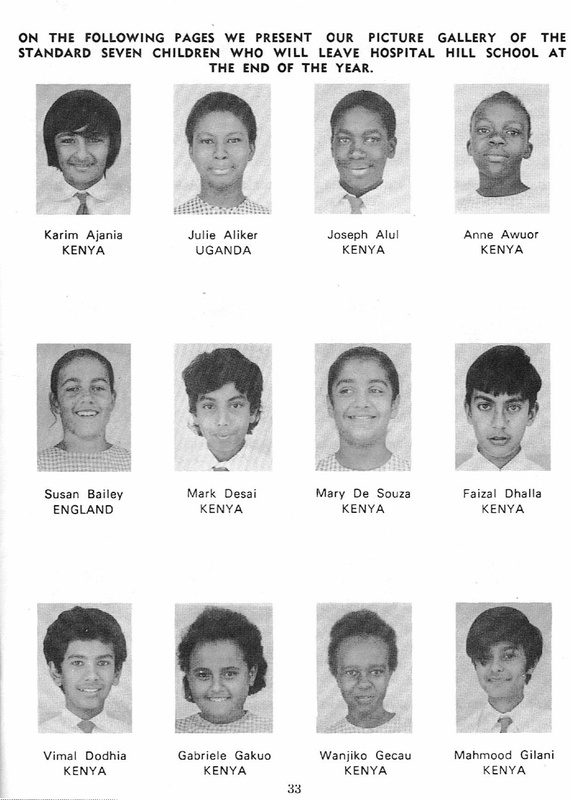 The three children from middle row, right, are Ashif Suleman, Amolo Ng’Weno and Maria Fulmer. Ashif’s older brother Adil and Maria’s older brother John were both in the editor’s Standard 7 class with Alan Cutler. Adil was elected to Head Prefect (aka El Capitain). The ‘colours’ disappeared very quickly for me, replaced by the character of each child, as is always the case in teaching – but, what interested me was the fact that the children certainly saw no colour, just peers and friends. The differences within the various cultures of our class were made apparent however, when topics in the subjects now known to me as Social Studies (History, Geography) were discussed, and when different cultural and religious events took place in each family. Discipline was so easy – these children came to HHS mostly from families who understood the wealth of human diversity. They believed not only in a good education but particularly sought the benefits of a multiracial education for the learning and tolerance of the ways of others. Most of the children also came from similar socio-economic backgrounds and their family units were still largely intact. 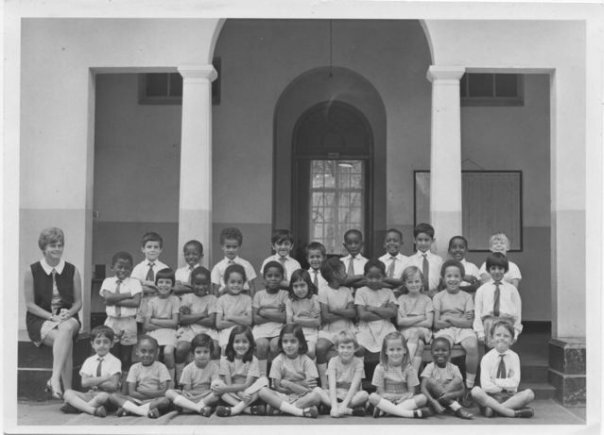 Over the years that I taught at the school I also became fascinated with some of the other aspects of multiracial and multinational education – the varying types of humour and creativity – we learned so much from each other in so many ways. Not only was the environment very stimulating for all of us in our classrooms with the children, the staff and parents of HHS got to know and support each other in the same way and lasting friendships were made – what an unbelievable legacy all round. Anne Cutler, seated left of Headmaster Grigulus at center. Mabel Saunders (who taught the Standard 7 History starting with a colored chalk map drawing of the Scramble for Africa) seated two seats right of Headmaster Grigulus; Alan Cutler: standing fifth from left; Gloria Hagberg (Paula Schramm’s mother) standing, far left. While teaching at the school I married Mr. Cutler, a teacher from England who also came to teach at HHS. I left HHS to work part-time and we had our first child, Mark. Eventually it was time for us to leave Kenya and move to Canada where more of my family were now living. Leaving Kenya, some of the family and many friends, who were now of different races and cultures, was unbelievably tough. We were to discover that, although unrealistically believing otherwise, we would not find another school which was as multiracially balanced as HHS. We believed we would be living amongst people of varying nationalities and races and would therefore find a similar stimulating multicultural and multiracial society. 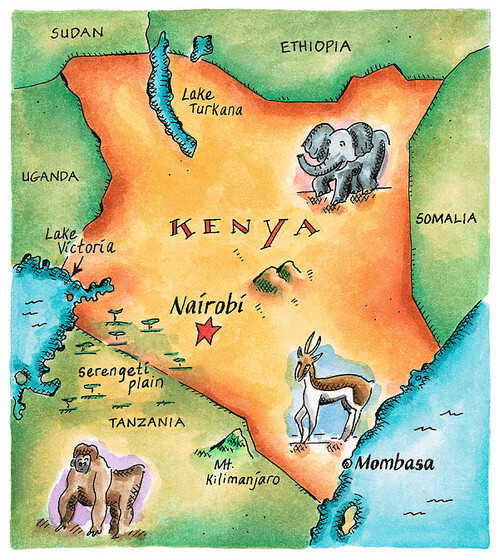 We began to realize that our experience of teaching at HHS and living in Kenya at that time had been very unique. A few years went by and although our memories of HHS gradually faded we have stayed in touch with some of the staff. At least 30 years later, much to our great excitement a couple of ex-students came to see us. Then the editor-in-chief of this magazine telephoned one day and through him, the internet and many other ex-students, we were back in touch again. Speaking personally as a teacher, what greater reward could there be than to have the privilege of rediscovering former students and finding out even just a little about what they have achieved – and what a difference they have and are making in this world – what an unbelievable legacy HHS has been. The multiracial experience has many sides. I loved HHS as we (the alumni) all said when we first had discussions the various races didn’t even mix outside of school. Yes I went to Aru’s house for lunch but that was the exception. However, it really was special to be in that environment I think for most of us but we didn’t know it until we left. On the other hand my father sent me to Alliance, a national school – all black – and it was major culture shock. I hated Alliance. I had never had a black teacher in my life. When I went to grad school at UCLA, the HHS experiences kicked in and helped me to adapt to a multicultural situation. The truth be told from my perspective, it’s how to fit in the white world! Given our political experience, we were taught to fear and be intimidated by white people. HHS taught us that we were all people no matter what race and so California which was highly segregated was palatable. I somehow managed to live in USA for 16 years!!! Like Njeri, I was sent to Alliance School, a major culture shock. First time I saw a black person teaching. My mother was a teacher back then and I put it together as black people teach in high school! Alliance eventually grew on me, but I don’t think I would have chosen to go there. At the time, my brother and I had to go to the school our parents went to. The others went to Limuru girls and Kenya High. Like Njeri, I went to Aru’s, Pheroza’s and possible Clare somebody’s (not Smith). I thought everyone went to a school like HHS so I also didn’t think it was special until years later when I went to work in a multi-cultural environment in Ethiopia. 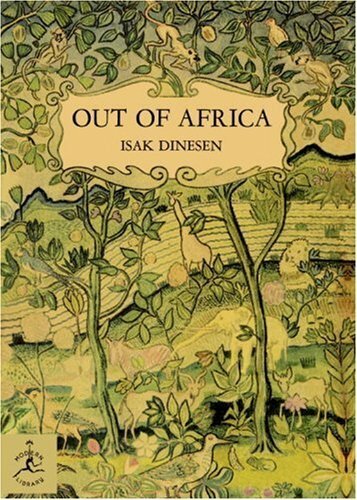 If I know a song of Africa, of the giraffe and the African new moon lying on her back, of the plows in the fields and the sweaty faces of the coffee pickers, does Africa know a song of me? Will the air over the plain quiver with a color that I have had on, or the children invent a game in which my name is, or the full moon throw a shadow over the gravel of the drive that was like me, or will the eagles look out for me? I am the daughter of John and Joan Karmali, two of the founding members of Hospital Hill School (HHS). HHS had a deep and long-lasting effect on my family’s life. Karim helpfully suggested that I could introduce myself by answering 3 questions – here goes! Could you kindly share some of your own reminisces as a former HHS student? 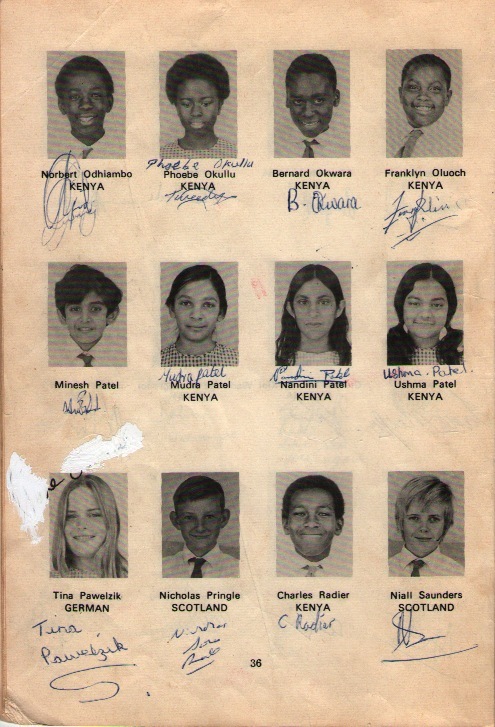 I was a pupil at HHS from around 1957 to Dec 1963, the month in which Kenya became independent. Most of those years were spent at the site near the Arboretum in Nairobi, on the edge of what were then Government House grounds, although we moved to the current site in Parklands in my last year. My abiding memories are always of the play times — they seemed to last for hours in a huge playground, most of which was pretty rough earth or grass, with plenty of trees and wilderness to play in. In addition to all the traditional childhood games such as hopscotch, 1-2-3 block, gilli danda, and less conventional ones such as ant-lion races, playtimes were spent in extended imaginary play with my three best friends, all of whom I am still in (sporadic) contact with. Learning could also be fun. I can remember the excitement I felt when our teacher, Doreen MacKenzie introduced us to reading with a story about the noise telephone wires made when the wind blew and how this sound was represented by the letters ‘oo’. The weekly spelling and tables tests in Standard VII were grim, but much of our learning, particularly in the early years, felt more like an adventure than a chore. 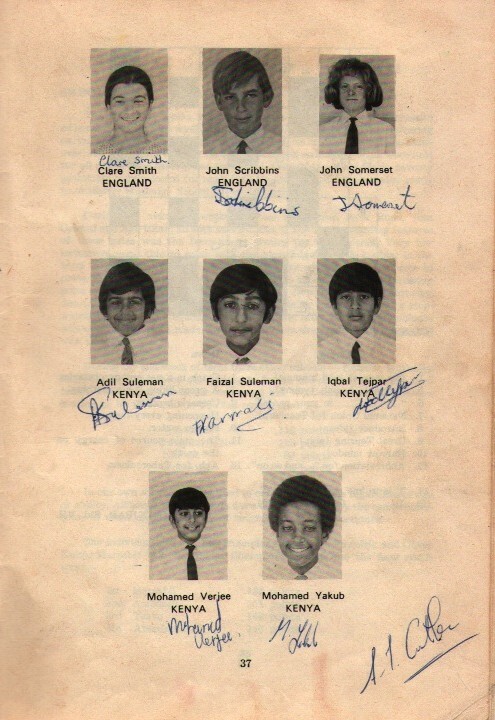 It was therefore a shock at 12 to move on to the much more authoritarian, structured, competitive and overtly racist world of secondary school, Kenya High, the formerly all white government girls school, which with Kenya’s independence had recently been desegregated. How has the HHS experience impacted your own world view and career choices? 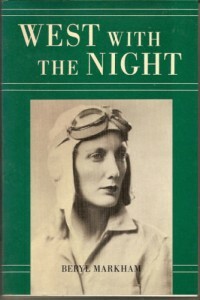 It has had a profound influence. I have been a political activist for much of my life — a trade unionist, Labour councillor, campaigner for causes close to my heart — and that goes back to my upbringing and HHS, and the belief they inculcated in equality and the importance of living by and fighting for what you believed to be right. After university, I trained as a primary school teacher and spent two years as a volunteer teaching in Cameroon, but I have spent most of my life working in the voluntary and public sectors in the UK and in Kenya. Some of us have researched the courageous experiment that your parents undertook in helping to found HHS in the segregated Kenya of that time. Are there any personal insights you can add? 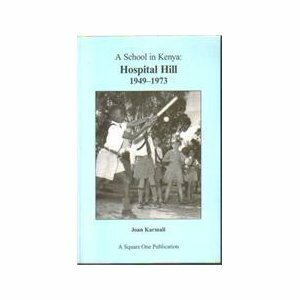 Some HHS alumni have copies of my mother’s book – A School in Kenya: Hospital Hill 1949 – 1973. I don’t think I can better her account of what my parents and others went through to set up the school. I think my father’s involvement was probably unique in that he stayed on the school’s governing body all those years until it was handed over to the city council. Paula Schramm is the daughter of Gordon Hagberg who administered the “airlift” scholarship program from Nairobi in the 1950’s. The program is documented in Airlift to America. In 1956 I met a remarkable young man, my age, with a revolutionary vision that would change the course of history. His name was Tom Mboya, a labor leader with a passionate dedication to rid his country, Kenya, of the shackles of colonialism. 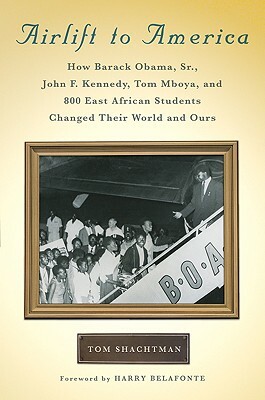 He detailed for me a view of Africa that inspired my commitment to its struggle for liberation. Tom sought me out and through his eyes I saw the harsh ugliness of colonialism. I met extraordinary young people determined to live life free of the prison of colonialism. I wrote letters and gave concerts to raise funds to charter airplanes that would bring young people from East Africa who had successfully applied for scholarships at many of our colleges and universities. The concerts did well and the response to the mailing was extraordinary. Postal workers from the Bronx sent $1 and $2 contributions with a letter explaining how important they realized the Airlift would be for the future of Africa. Today, Professor Wangari Maathai, who came on the 1960 Airlift, is the first African woman to become a Nobel Peace laureate. One that readers will find of great interest is that of Barack Hussein Obama, Sr. Imagine: perhaps if not for support from the African American Students Foundation, he might not have come to America. I am the daughter of Gordon and Gloria Hagberg, and was a student at Hospital Hill School, from 1956 – 1958, while it was still at the modest 3-classroom building on Arboretum Drive. 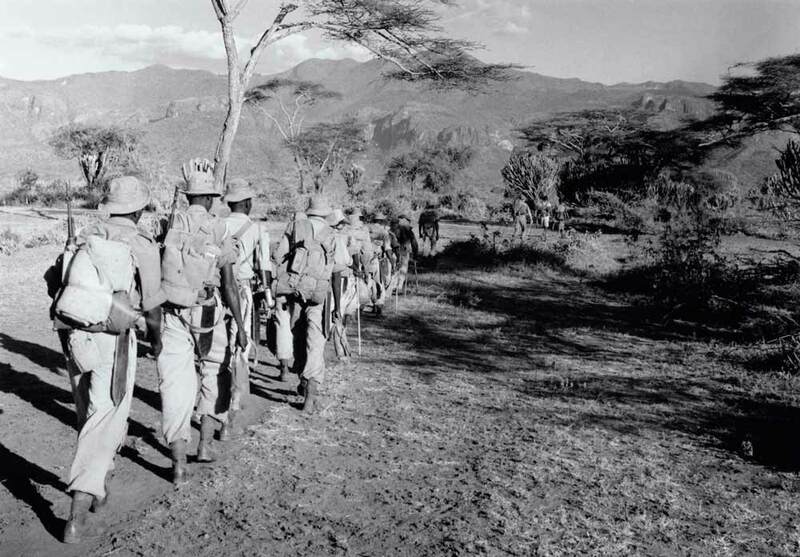 We first came to Kenya in 1956 when my father headed the East African office of the U.S. Information Service. My parents soon became good friends of John and Joan Karmali, founding members of the school, and were grateful to find such brave and kindred spirits doing something so worthwhile. While my father volunteered on the school board, my mother began teaching classes when the original Headmistress, Mrs. Walke, retired and there was a gap before the new head arrived. As an American kid, I was busy adapting to new accents, playing “rounders” instead of “softball” in the huge grounds where we could cross the playing field to look through the big fence at the State House, and tackling challenging subjects like Latin, French, geometry and algebra, things that don’t show up in U.S. curriculum until much later ! Some of my classmates were Udi Gecaga ( he and I formed the entire 7th standard in ’58 ), his sister Noni, both Jan & Peter Karmali, and their sister Shereen. My memories were of a warm school community, where we all had to take education very seriously and also thoroughly enjoyed each others’ company. These last 2 years of primary school were probably my most enjoyable school times of all. 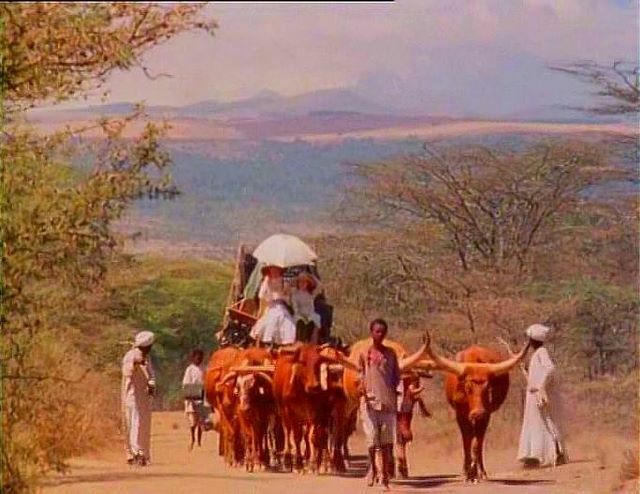 For me, coming to Kenya and being able to experience this variety of cultures as a child, in such a natural, everyday way, in the midst of the segregated British colonial system, was a key experience in my life. Efforts in keeping this school going set a resounding example of commitment to one’s ideals. When we returned to Kenya, I went to Kenya Girls High from 1962-1963, spanning Kenya’s independence. Desegregation had only recently begun, with something like 30 Asian-Kenyan, and 12 African- Kenyan, girls out of a student body of 500. Ironically, my culture shock and feeling of alienation was profound after my time in the more “normal world” of Hospital Hill. I remember my mother telling me about how much she liked the new “guitar-playing” headmaster, Alan Cutler! She and the Cutlers shared the bond of their work at Hospital Hill School, and we were able to visit Anne, Alan and their family in later years at their home on Vancouver Island, when my mother made her “every other year” visits to the U.S. 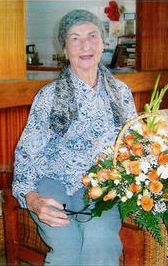 I had been back in Kenya living with my mother when she died in 2010, at age 97. One of my very best memories from this time was of my former H.H.S. classmate, Sopiato Likimani, showing up and taking charge of many aspects of the Memorial Service. She told me, “We all do this for each other”. The flower arrangements, the live performance of music and song , and the ushering of people attending were all taken care of by a crew of 6 beautiful, accomplished women who were all former HHS students who had known my mother. She was certainly proudly smiling down on all of us that day! The Hagbergs also owned a lodge near Mt. Kenya that she invited my younger brother John and I to spend a week at. The place was gorgeous. You had to get used to washing your face in the morning with what was ice cap water runoff (water that cold feels like splashing your face with needles). The hot water for the bath in the evenings had sediment in it from the stream. I mentioned it to Mrs. Hagberg and she suggested that the water was still cleaner than I was after a day of activities. They kept horses that tended to bolt off when the wind made the grass undulate. The stable hand explained that the movement looked very similar to that of a snake, which the horses did not like. I also learnt that dressing up for dinner (every night) meant the gentlemen wore tuxedos. I would be interested to learn if Adine (Paula’s daughter, Mrs Hagberg’s granddaughter) knows the whereabouts of the lodge’s guest book. 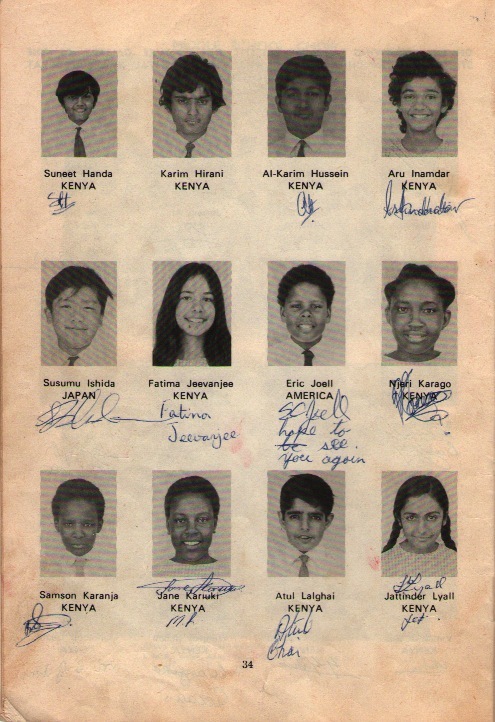 Somewhere out there there’s a book signed by Tom Mboya, the Aga Khan and Charles and John Radier. 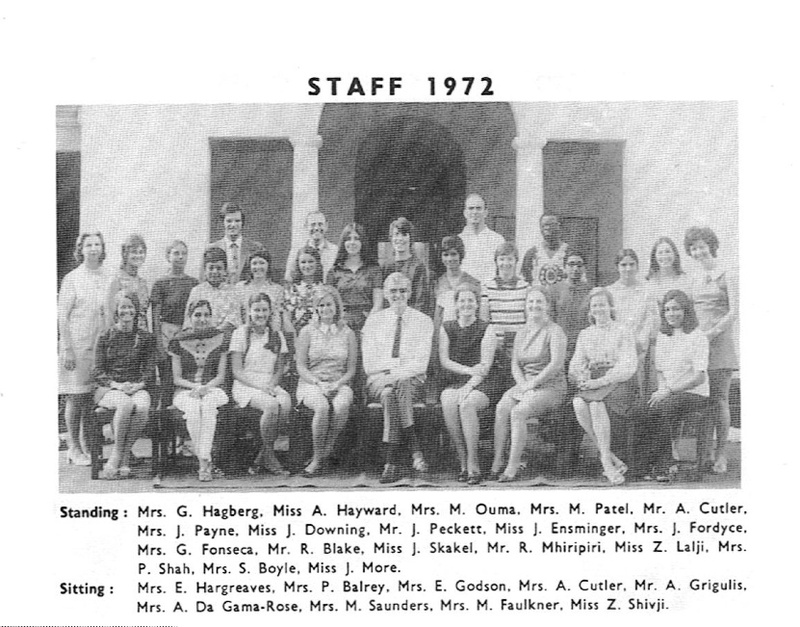 My last meeting with Mrs. Hagberg was in 1984. I visited with her at her flat at United Kenya Club and we had lunch. She filled me in about the HHS Alum she was still in contact with and I updated her on the changes in Pennsylvania (Pennsylvania Dutch and Amish) where I had been living prior to returning to Kenya. My dad worked for EAR&H (East African Railways and Harbours). He was an engineer on the Umoja, a rail ferry that went across lake Victoria. Then he was on the ship Victoria. 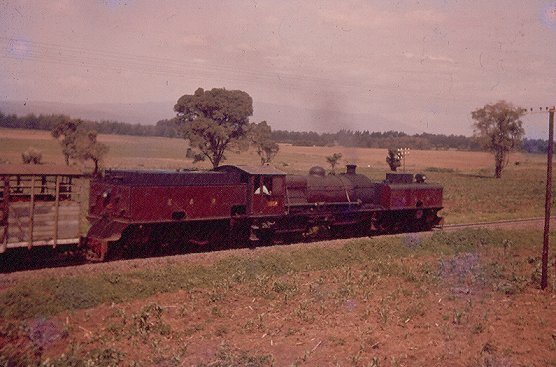 When we came to New Zealand, dad started making scale models of some of the trains and we ended up with a whole circuit running around the shed at the bottom of the garden complete with carriage, stations, mud huts and people wearing turbans. There are some models of the ships too. I used to get one trip on the ship each big holiday, so I went to Mwanza and Jinja by ship. 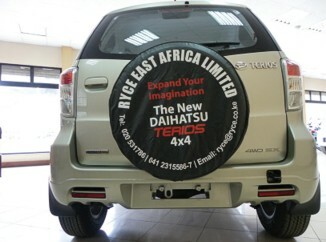 Idi Amin put paid to all that though so then dad got a job teaching engineers in Nairobi. 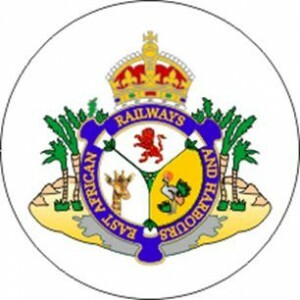 If you worked for the railways you got a free trip once a year with the family so we we’d all go in a sleeper carriage from Kisumu to Mombasa. 1n 1968, when I was 9, my family moved to Kenya where my father had a job as engineer on the Lake ferries on lake Victoria. My Dad went to Kisumu a few months earlier and we stayed in England where my mother packed up the entire house, sold the car, had a baby and got us kids (8, 6 and a few weeks old) through all the vaccinations and paperwork. The first thing I remember about Africa is the bug zapper and how warm the night air was, at Entebbe airport where we stopped for refueling on the flight over. 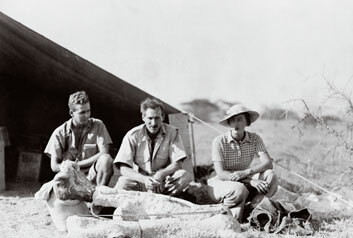 I do remember Dr Louis Leakey coming to talk to us about bones from Olduvai Gorge. This year my son who is 17 is learning human evolution so I was only telling him yesterday about Louis Leakey. I should have got his autogaph! …this was a moment of magic revealing to us all, for a few moments, a hidden world of grace and wonder beyond the one of which our eyes told us, a world that no words could delineate, as insubstanttial as a cloud, as iridescent as a dragon-fly and as innocent as the heart of a rose. I took tiffin to school for lunch like a lot of other Indian students. 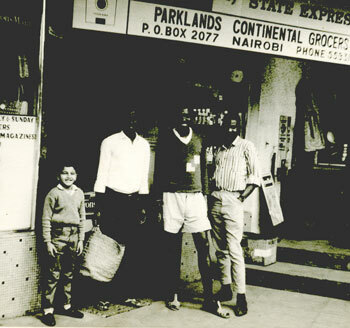 I recall going to Parklands Continental Grocers near HHS. Here I am below – perhaps ready to get tiffin foodstuffs. I also remember that little dukka a little way outside the HHS gates, on that dusty footpath. If you offered to bribe him with a couple of single Sportsmen cigarettes, that HHS askari (watchman) would sometimes let you sneak off to the dukka at recess. 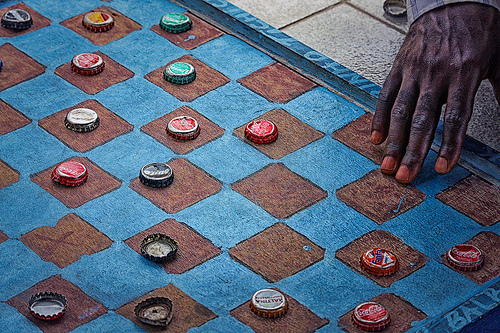 It was a makeshift African stall where you could buy a roll and butter, Vimto, usually watch a couple of old African men sitting on a crate, in the midst of playing drafts (checkers) on a worn, hand-drawn, cardboard drafts board, with Coke and Fanta bottle tops on opposing sides. I would spend a lot of time there because I was fascinated by the stories the old African men told as they played drafts. There was a little squeaky radio which always seemed to be playing Malaika – but that perpetual game of drafts was the center of entertainment for all the passers-by .. (African construction workers, ayahs on their breaks).. they would stop, observe, chat, laugh, recommend a draft move sometimes, purchase a single cigarette and then move on..
That dukka was always noisy, then very quiet, then noisy with chatter again. 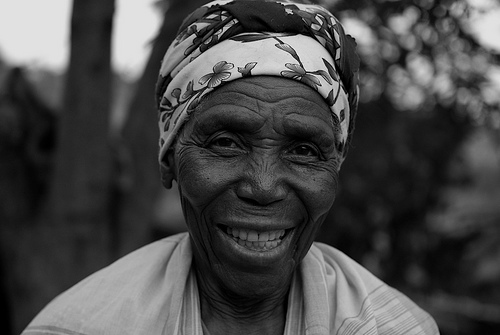 The old Kikuyu vegetable ladies sometimes passed by; worn leather strap deeply cutting into their foreheads, and attached to that gigantic basket their backs were laden with; all full of fresh shamba veggies, unripe green mangos, standing in the dust with those thick calluses on their bare feet, the most beautiful big smiles and the most rotten yellow teeth. Malaika was “our HHS song” at the time (as well as half the population of Kenya, I am sure). I still listen to it from time to time – I love Miriam Makebe and Harry Belafonte’s version. Always gives me a lump in my throat. 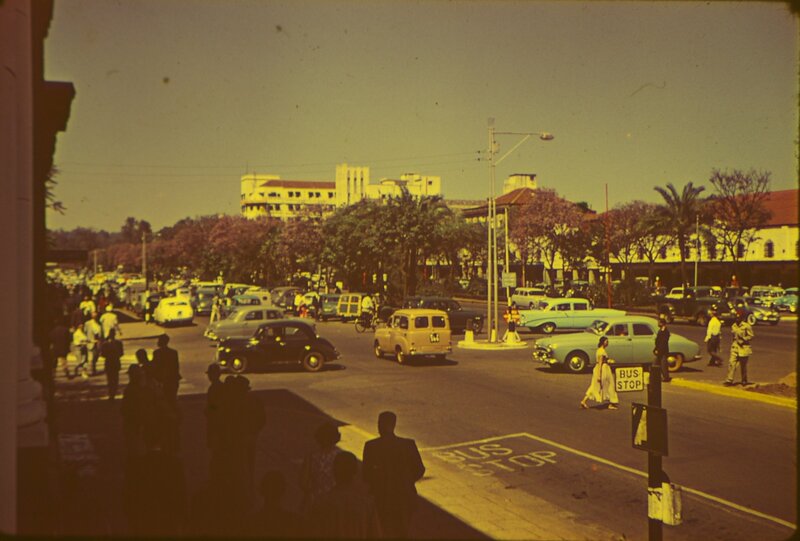 For me, those were glorious memories -our multicultural HHS community, the Kikuyu vegetable ladies, watching the drafts game unfold, the passing spectators. The chatter. The quiet. The stillness. Listening to Malaika. 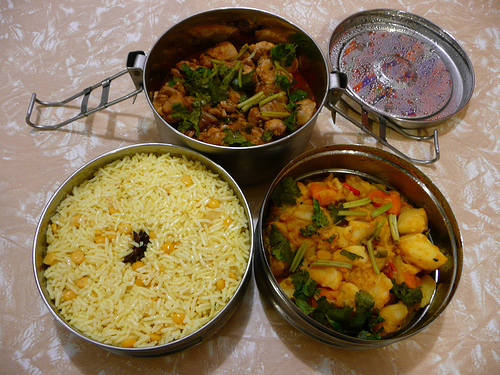 Aru Inamdar and I corresponded about the Indian tradition of having “tiffin” lunch. 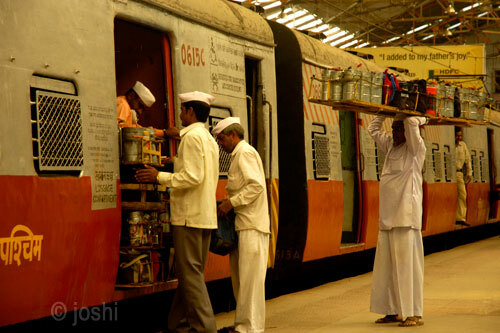 We traced this tradition to the Indian subcontinent where tiffins are delivered by “dabbawallas” – as in the photo beneath where dubbawallas stock up for delivery at Mumbai Railway Station. How wonderful that you mention Mumbai’s dabbawallas. Makes me proud of being Maharashtran. When I worked in Mumbai between 1983 and 1984, I would have my tiffin delivered to me in Fort (Mumbai’s CBD) all the way from Bandra (about 50 km north), where a Goan lady would cook my meal. The tiffin delivery was never late (12.30pm), and bang on 2pm someone would come to pick up the empty tiffin and take it back to the little Goan lady. I can’t even remember how much it cost, it was that cheap (I was working for a pittance, so I would certainly have remembered any dent to my pocket). 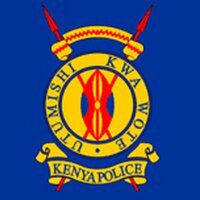 Dad went out to Nairobi in 1956 to set up a proper Forensic Laboratory in Nairobi for the Kenya Police as a response to the problem of Mau Mau. During this time he was heavily involved in all significant murders or where several people were killed and setting up postmortem facilities often in the bundu (outback) or even further in the NFD (Northern Frontier District). On one of these occasions around the time I was born they were carrying out two postmortems on the shores of Lake Turkana when the sombre activity was interrupted by gunfire as the local Police Inspector shot a crocodile that wandered up the beach to within 10 feet of Dad as he was working away oblivious to the danger behind him! He was also heavily involved in the investigation into a sergeant in the King’s African Rifles called Idi Amin (anyone remember him!!) who had systematically murdered a large number of Turkana people by starving them to death in a Boma he had constructed as a means of torture to find where they had hidden various caches of guns. 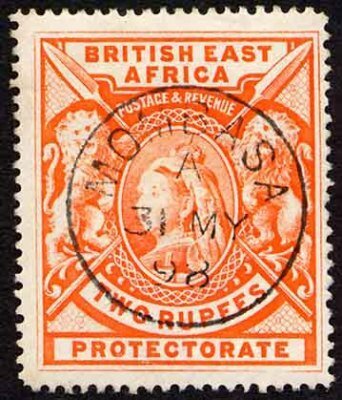 By the time the evidence was collected he had gone back to Uganda as a Colonel or similar title in the newly formed and Independent Ugandan Army – it was decided at the time not to pursue the matter any further for fear of damaging the Ugandan-British relationship. However an arrest warrant for Idi Amin was issued and the subsequent Kenyan Government made it very clear that he was persona non grata in Kenya. Interestingly all 6 officers involved in this case including Dad received a very cordial invitation to visit Uganda shortly after the coup which made him present at the personal invitation of Idi Amin Dada VC, DSO, MM et al – strangely none of them took him up on the invitation! We chose the Iberian peninsula – Spain/Portugal and Andorra. I loved that project & immersed myself in it – subsequently I have spent many happy holidays both in Portugal and Spain which culminated in us buying a house in Spain 3 years ago – Thanks Mabel ! 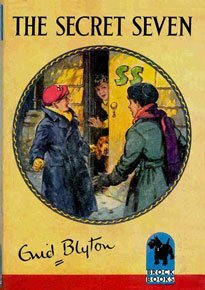 Books were also my other love – I was especially fond of reading Enid Blyton’s books – The Faraway Tree, Secret Seven & Famous Five being my favourites along with Mr Guiliano’s Circus!! I also discovered the Biggles books and when I left Kenya I sold my complete collection which I regretted on arrival in the UK – I have (how sad is this) replaced the collection and have all the books with the exception of the two limited editions published well after W.E. John‘s death – the majority of which are 1st editions now – I have paid up to £80 for these but some are now worth over £200. My wife despairs of me as our house resembles a lending library with bookcases everywhere. When on holiday in Spain I normally read at least one book a day. It would probably take me 5 years or so at that rate to reread all the books in my collection! Headmaster of Hospital Hill School had a nice ring to it but I was totally unprepared for the actual job! Trained as a teacher in the U.K., I thought I knew my stuff but teaching at H.H.S. was a very steep learning curve – with staff and students from all corners of the world there was a wealth of teaching and learning strategies I had never experienced. Still learning – I was suddenly offered the job of Headmaster, and loving a challenge, I accepted. 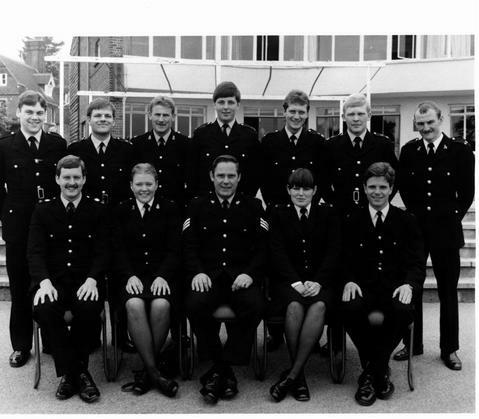 The role of the headmaster was (I thought) to run the school ….. simple, the office would continue to collect the fees and run the administration and I would concentrate on the actual teaching, timetables, discipline, staff concerns etc.. Nothing could be further from the truth! I discovered rapidly that the schools finances were in a shambles (and I wasn’t an accountant), but several parents who were accountants spent many an evening with me in the office trying to sort out the mess. There were several interest groups, trying to control the destiny of the school to which I was held responsible. The City Council had employed me so I was expected to toe the line, and they had employed a new deputy head who I was supposed to train to take over from me… talk about the blind leading the blind. There was also the School Board, with representatives from the Nairobi City Education Authority, the PTA and supposedly from the general public. To this board I had to report but had no voting rights. The PTA and the teachers made the other two groups. I believed strongly in the HHS concept of racial integration and keeping the ratios the same was in mind crucial. In this the staff and the PTA was in agreement but this was not the case with either the City or the School Board. There was constant pressure on the school to accept more African students and as the white population started using newly built private schools we found it impossible to resist the gradual change. Hospital Hill School was evolving with the new reality. The PTAs hope was that if they could start a secondary school, it would encourage all races to stay with us. Initially there was a sizable group of parents struggling with the logistics of starting a secondary school but it rapidly dwindled as the barriers seemed insurmountable. My wife and I had decided a few years earlier to emigrate to Canada and in 1975 we learned that the Canadian Government were changing the immigration requirements – after 1976 gaining Landed Immigrant Status would be more difficult. It was not the best time to leave but we had got the office running smoothly, and though there were still numerous challenges, my staying was not going to change anything. So with a wealth of wonderful memories and a lorry/truck load of experiences we headed west. We throw ourselves into the journey. When it’s done, while we learned that all experience involves the loss of something beloved, what is left in the residue of memory is love.